Built by the people’s mighty hand. As Baby Boomers there was no greater enemy than the Soviet Union. We stockpiled atomic weapons for the war that was sure to come. We put those weapons on top of rockets, in land bunkers, aboard submarines, ships, huge flying bombers, and secret places. 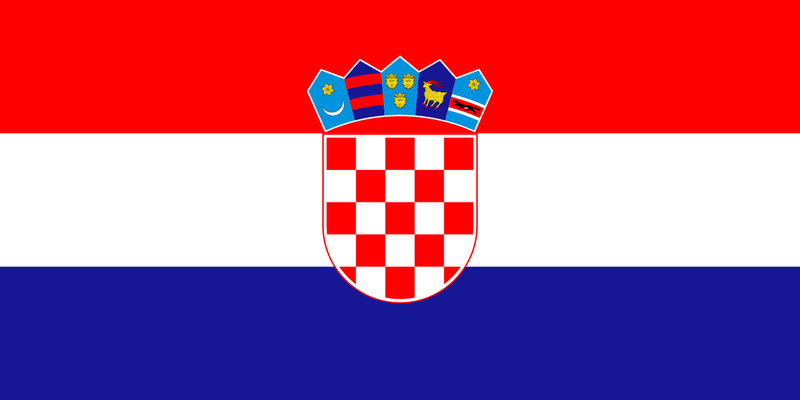 If a Boomer were a Catholic, then they prayed for the conversion of “Russia” (easier than saying the Union of Soviet Socialist Republics) at the end of every Sunday mass. If we wanted to label something an enemy, we said the person was a Communist, a Red, a -nik. We had to keep Communism contained despite its spread into so many countries: eastern Europe, Cuba, central America, Africa, South America, and Asia. We sent thousands of our soldiers to Korea to stop the spread of Communism. We sent thousands of our troops to Vietnam to stop the spread of Communism. Our military budget, the largest of any nation anywhere, was predicated on stopping Communism. On December 30, 1922 in post-revolutionary Russia, the Union of Soviet Socialist Republics (USSR) is established, comprising a confederation of Russia, Belorussia, Ukraine, and the Transcaucasian Federation (divided in 1936 into the Georgian, Azerbaijan, and Armenian republics). 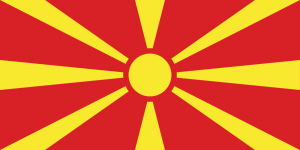 Also known as the Soviet Union, the new communist state was the successor to the Russian Empire and the first country in the world to be based on Marxist socialism. 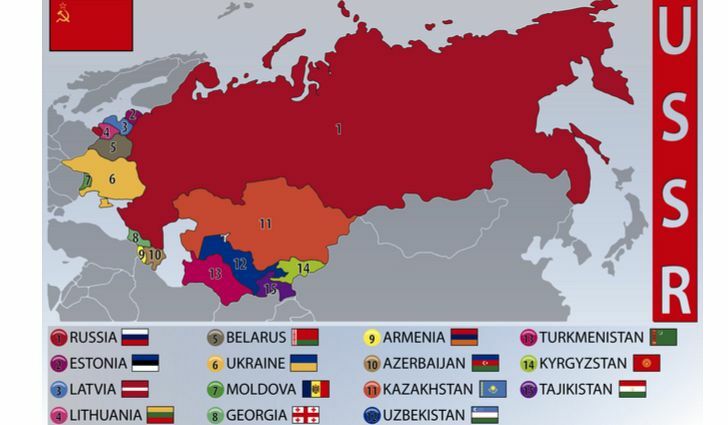 The USSR eventually consisted of: Russia, Ukraine, Byleorussia, Armenia, Georgia, Azerbaijan, Lithuania, Latvia, Estonia, Moldovia, Kazakhstan, Kirghizia, Uzbekistan, Turmenia, and Tajikistan. When it happened, it happened, ironically, like the dominoes we had fought so hard to stop from happening. The economics, the politics, the many pieces that led to the dissolution of the USSR are more than this blog can cover. Dates are easier to list. 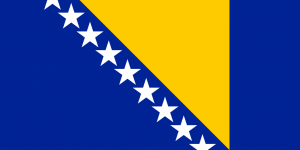 These dates include the withdrawal of the Soviet Union from the countries of eastern Europe. Countries that while not officially part of the USSR, were satellites of the vast Union. September 11, 1988: 300,000 demonstrate for independence in Estonia. August 23, 1989: two million indigenous people of Estonia, Latvia and Lithuania joined hands to demand freedom and independence, forming an uninterrupted 600 km human chain called the Baltic Way. September 10, 1989: thousands of East Germans cross the Austria-Hungary frontier after Budapest waived border restrictions amid the largest legal exodus from eastern Europe since 1945. November 9, 1989: the fall of the Berlin Wall. East Germany’s communist government allowed all citizens direct passage to the west, rendering the Berlin Wall obsolete. November 17, 1989: riot police put down student protests against the communist government in Czechoslovakia. The incident started a series of non-violent protests that finally forced the communists from power two weeks later. 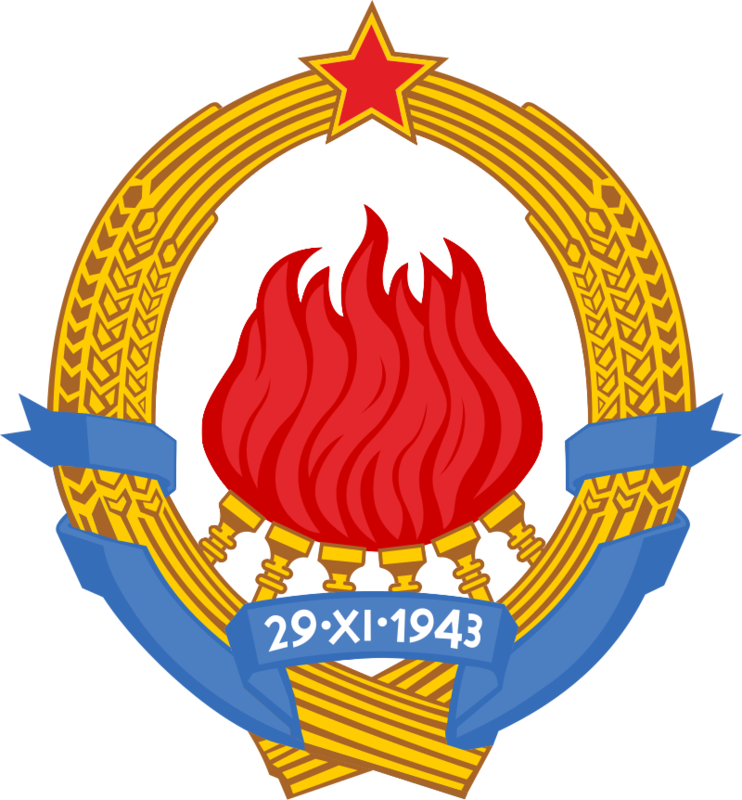 November 29, 1989: in response to a growing pro-democracy movement in Czechoslovakia, the Communist-run parliament ended the party’s 40-year monopoly on power. December 15, 1989: a popular uprising began in Romania. December 17, 1989: Timișoara Riot in Romania. Demonstrations in the city of Timișoara were triggered by the government-sponsored attempt to evict László Tőkés, an ethnic Hungarian pastor, accused by the government of inciting ethnic hatred. Members of his ethnic Hungarian congregation surrounded his apartment in a show of support. Romanian students spontaneously joined the demonstration which had became a more general anti-government demonstration. Regular military forces, police and Security fired on demonstrators killing and injuring men, women and children. December 19, 1989: workers in Romanian cities go on strike in protest against the communist regime. December 21, 1989: Romanian leader, Nicolae Ceaușescu, spoke to crowd of the Socialist revolution’s chievements and Romanian “multi-laterally developed Socialist society.” Roughly eight minutes into his speech, several people began jeering, booing and whistling at him and shouting “Timișoara,” a reaction that would have been unthinkable for most of the previous quarter-century of his rule. As the speech wore on, more and more people did the same. He tried to silence them by raising his right hand and calling for the crowd’s attention before order was temporarily restored, then proceeded to announce social benefit reforms. The crowd continued to boo and heckle him. 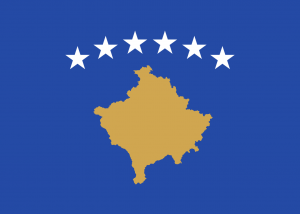 December 22, 1989: the Romanian army defected to the cause of anti-communist demonstrators, and the government of Nicolae Ceausescu was overthrown. Ceaușescu and his wife Elena flee. December 22, 1989: Berlin’s Brandenburg gate is reopened. December 25, 1989: near Târgoviște, Romania the Ceaușescus were court-martialled on orders of the National Salvation Front, Romania’s provisional government. They faced charges including illegal gathering of wealth and genocide. Ceaușescu repeatedly denied the court’s authority to try him, and asserted he was still legally president of Romania. At the end of the quick trial the Ceaușescus were found guilty and sentenced to death. A soldier standing guard in the proceedings was ordered to take the Ceaușescus out back one by one and shoot them, but the Ceaușescus demanded to die together. 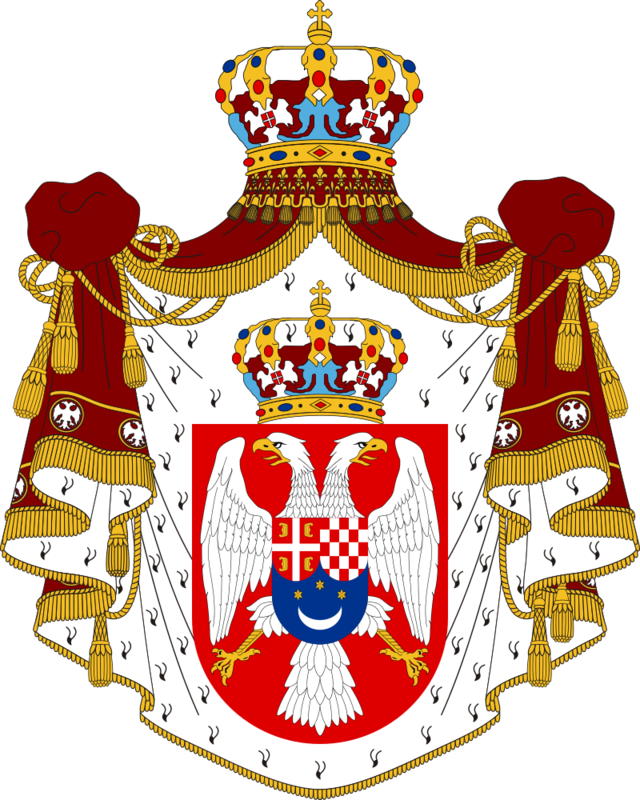 The soldiers agreed to this and began to tie their hands behind their back which the Ceaușescus protested against but were powerless to prevent. The Ceaușescus were executed by three of soldiers though reportedly hundreds of others also volunteered. 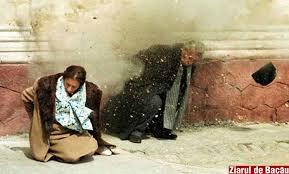 The firing squad began shooting as soon as the two were in position against a wall. Before his sentence was carried out, Nicolae Ceaușescu sang “The Internationale” while being led up against the wall. January 11, 1990: in Lithuania, 300,000 demonstrated for independence. 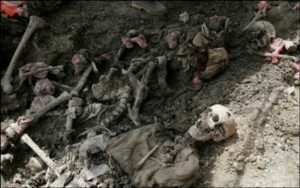 January 16, 1990: in the wake of vicious fighting between Armenian and Azerbaijani forces in Azerbaijan, the Soviet government sends in 11,000 troops to quell the conflict. February 7, 1990: the Central Committee of the Soviet Union’s Communist Party agreed to endorse President Mikhail Gorbachev’s recommendation that the party give up its 70-year long monopoly of political power. The Committee’s decision to allow political challenges to the party’s dominance in Russia was yet another signal of the impending collapse of the Soviet system. March 15, 1990: the Soviet Union announced that Lithuania’s declaration of independence was invalid. May 4, 1990: Latvia declared independence from the Soviet Union. October 3, 1990: Germany reunited. 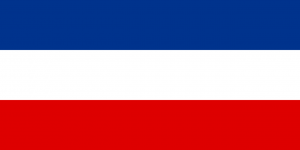 April 9, 1991: the Supreme Council of the Republic of Georgia declared independence from the Soviet Union. August 20, 1991: Estonia declares its independence from the Soviet Union. August 21, 1991: Latvia declares its independence from the Soviet Union. August 24, 1991: Ukraine declared independence from Soviet Union. August 25, 1991: Belarus declares independence from Soviet Union. 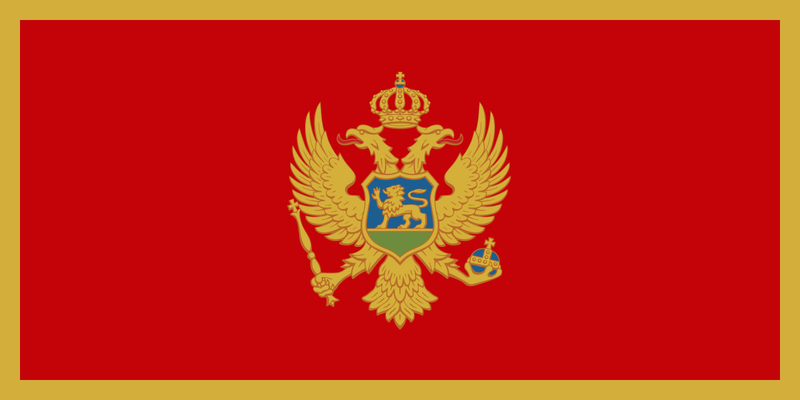 August 27, 1991: Moldova declares independence from the Soviet Union. August 30, 1991: Azerbaijan declared independence from Soviet Union. August 31, 1991: Kyrgyzstan and Uzbekistan declare independence from the Soviet Union. September 9, 1991: Tajikistan declares its independence from the Soviet Union. September 21, 1991: Armenia declares independence from the Soviet Union. October 27, 1991: Turkmenistan declares its independence from the Soviet Union. December 16, 1991: Kazakhstan declared its independence from the Soviet Union. December 24, 1991: Mikhail Gorbachev resigned as head of Soviet Union. December 26, 1991: the official dissolution of the USSR. 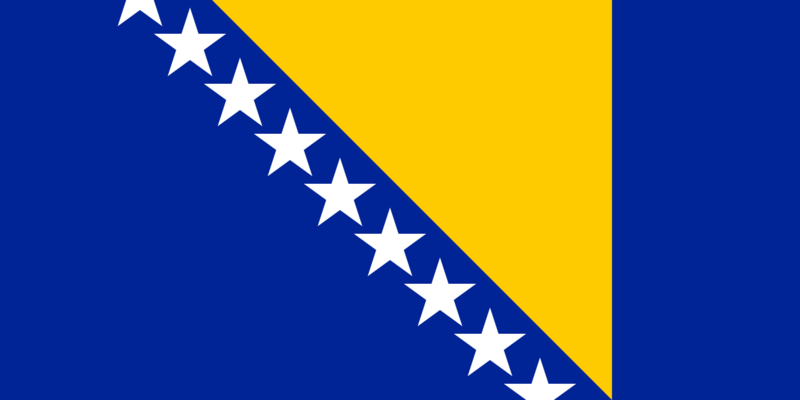 April 16, 2003: 10 countries signed the 2003 Treaty of Accession admitting them to the European Union (EU). 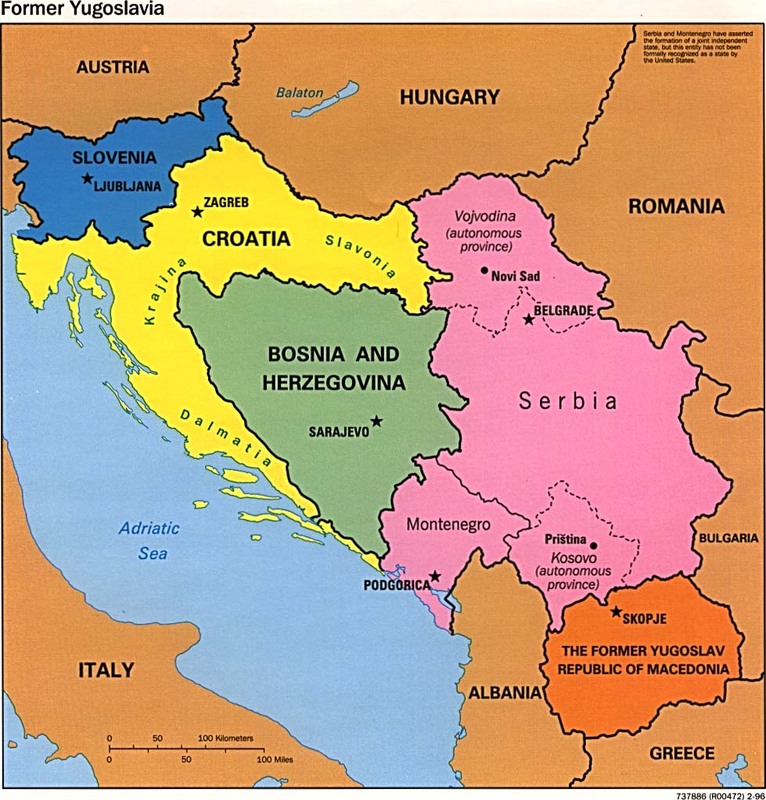 After Malta and Cyprus, eight of the ten new EU nations (Poland, Hungary, Slovakia, the Czech Republic, Slovenia, Estonia, Latvia, and Lithuania) were former communist countries. 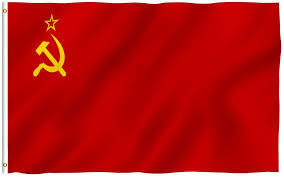 The signing of the treaty in Athens marked the first time that former members of the Soviet Bloc joined the EU. We know that nothing historic happens by itself. We just forget. Boomers remember the Cuban missile crisis as an October 1962 event, an event that grew from a simple announcement to the shuddering fear of nuclear apocalypse. What follows is a chronologically simplified list of the various events that preceded the crisis, the crisis itself, and its aftermath. April 24, 1961: President Kennedy accepted “sole responsibility” following the failed Bay of Pigs invasion of Cuba and in November he authorized an aggressive covert operations (code name Operation Mongoose) against Fidel Castro. 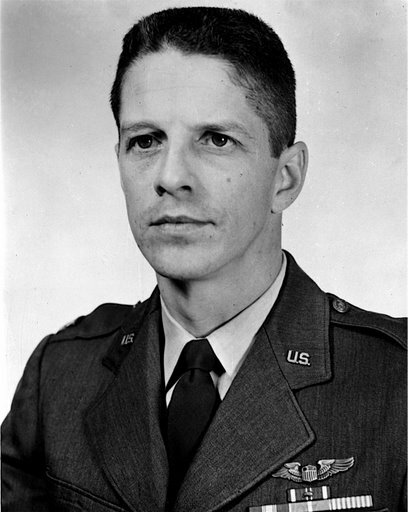 Air Force General Edward Lansdale led the operation. 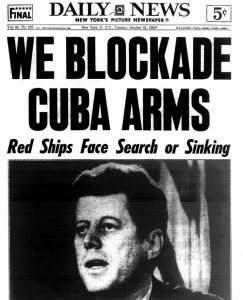 February 3, 1962: President Kennedy banned all trade with Cuba. 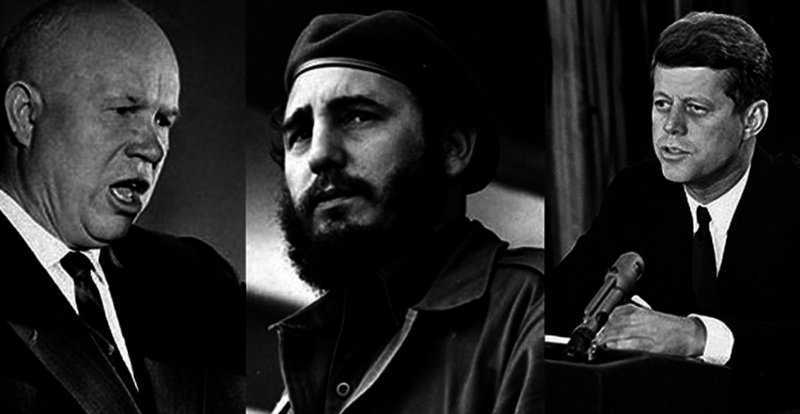 May 30, 1962: Fidel Castro informed visiting Soviet officials that Cuba would accept the deployment of nuclear weapons. August 17, 1962: US Central Intelligence Agency Director John McCone stated at a high-level meeting that circumstantial evidence suggested that the Soviet Union was constructing offensive missile installations in Cuba. Dean Rusk and Secretary of Defense Robert McNamara disagreed with McCone, arguing that the build-up was purely defensive. Twelve days later, on August 29, a high-altitude U-2 surveillance flight provided conclusive evidence of the existence of missile sites at eight different locations in Cuba. 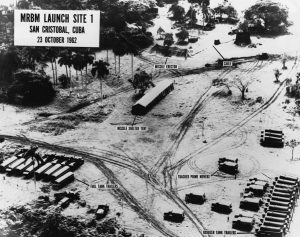 September 19, 1962: the United States Intelligence Board (USIB) approved a report on the Soviet arms buildup in Cuba. Its assessment, stated that some intelligence indicates the ongoing deployment of nuclear missiles to Cuba. 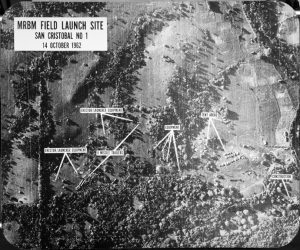 October 14, 1962: a US Air Force U-2 plane on a photo-reconnaissance mission captured proof of Soviet missile bases under construction in Cuba. 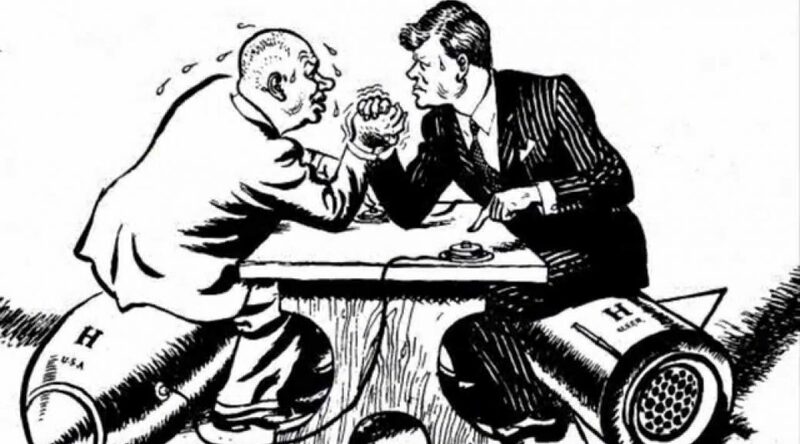 Four days later, on October 18, President Kennedy met with Soviet Minister of Foreign Affairs, Andrei Gromyko, who claimed the weapons were for defensive purposes only. Not wanting to expose what he already knew, and wanting to avoid panicking the American public, Kennedy did not reveal that he was already aware of the missile build-up. October 22, 1962: President Kennedy announced the existence of Soviet missiles in Cuba and ordered a naval blockade. The Joint Chiefs of Staff unanimously agreed that a full-scale attack and invasion was the only solution. 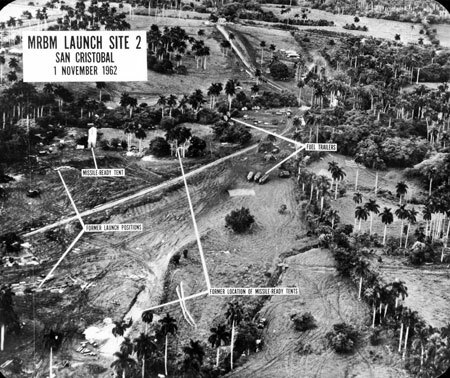 October 23, 1962: evidence presented by the U.S. Department of Defense of Soviet missiles in Cuba. This low level photo of the medium range ballistic missile site under construction at Cuba’s San Cristobal area. A line of oxidizer trailers is at center. October 24, 1962: the Soviet news agency Telegrafnoe Agentstvo Sovetskogo Soyuza (TASS) broadcast a telegram from Nikita Khrushchev to President Kennedy, in which Khrushchev warned that the United States’ “pirate action” would lead to war. President John F. Kennedy spoke before reporters during a televised speech to the nation about the strategic blockade of Cuba, and his warning to the Soviet Union about missile sanctions. The Chinese People’s Daily announced that “650,000,000 Chinese men and women were standing by the Cuban people”. At the United Nations, ambassador Adlai Stevenson confronted Soviet Ambassador Valerian Zorin in an emergency meeting challenging him to admit the existence of the missiles. The Soviets responded to the blockade by turning back 14 ships presumably carrying offensive weapons. October 26, 1962: in one of the most dramatic verbal confrontations of the Cold War, American U.N. Ambassador Adlai Stevenson asked his Soviet counterpart during a Security Council debate whether the USSR had placed missiles in Cuba. Meanwhile, B-52 bombers were dispersed to various locations and made ready to take off, fully equipped. October 27, 1962: Radio Moscow began broadcasting a message from Khrushchev. 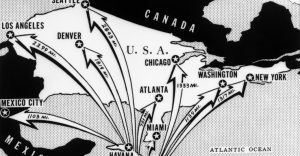 The message offered a new trade, that the missiles on Cuba would be removed in exchange for the removal of the Jupiter missiles from Italy and Turkey. Cuba shot down a US U2 plane with surface to air missile killing the pilot, Rudolf Anderson. U.S. Army anti-aircraft rockets sat, mounted on launchers and pointed out over the Florida Straits in Key West, Florida. October 28, 1962: after much deliberation between the Soviet Union and Kennedy’s cabinet, Kennedy secretly agreed to remove all missiles set in southern Italy and in Turkey, the latter on the border of the Soviet Union, in exchange for Khrushchev removing all missiles in Cuba. Nikita Khrushchev announced that he had ordered the removal of Soviet missile bases in Cuba. 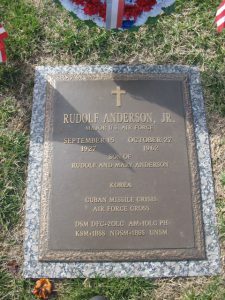 November 6, 1962: Rudolph Anderson’s body interred in Greenville, South Carolina at Woodlawn Memorial Park. June 20, 1963: to lessen the threat of an accidental nuclear war, the US and the Soviet Union agreed to establish a “hot line” communication system between the two nations. August 30, 1963: the “Hot Line” communications link between the White House, Washington D.C. and the Kremlin, Moscow, went into operation to provide a direct two-way communications channel between the American and Soviet governments in the event of an international crisis. It consisted of one full-time duplex wire telegraph circuit, routed Washington- London- Copenhagen- Stockholm- Helsinki- Moscow, used for the transmission of messages and one full-time duplex radiotelegraph circuit, routed Washington- Tangier- Moscow used for service communications and for coordination of operations between the two terminal points. Note, this was not a telephone voice link. That same day, Ambassador William Attwood, a Kennedy delegate to the United Nations, secretly called Castro’s aide and physician, Rene Vallejo, to discuss a possible secret meeting in Havana between Attwood and Castro that might improve the Cuban-American relationship. Attwood had been told by Castro’s U.N. ambassador, Carlos Lechuga, in September 1963, that the Cuban leader wished to establish back-channel communications with Washington. Kennedy’s national security adviser, McGeorge Bundy, told Attwood that J.F.K. wanted to “know more about what is on Castro’s mind before committing ourselves to further talks on Cuba.” He said that as soon as Attwood and Lechuga could agree on an agenda, the president would tell him what to say to Castro. November 19, 1963: Kennedy had settled the Cuban crisis, in part, by pledging that the US would not invade Cuba; however that pledge was conditioned on the presumption that Castro would stop trying to encourage other revolutions like his own throughout Latin America. Tuesday 19 November 1963: the evening before President Kennedy’s final full day at the White House — the C.I.A.’s covert action chief, Richard Helms, brought J.F.K. 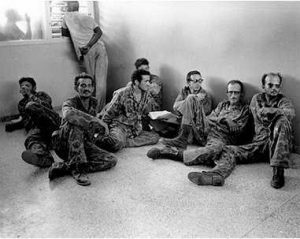 what he termed “hard evidence” that Castro was still trying to foment revolution throughout Latin America. Standing in the Cabinet Room near windows overlooking the darkened Rose Garden, Helms brandished what he called a “vicious-looking” rifle and told the president how its identifying Cuban seal had been sanded off.